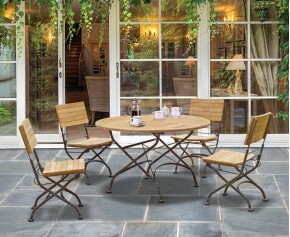 Take al fresco dining to greater heights with this stylish yet practical Brompton extending garden table and 6 folding chairs set. 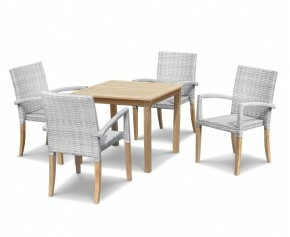 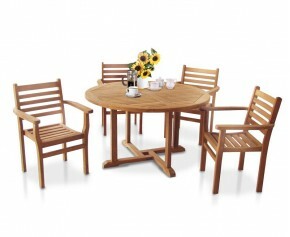 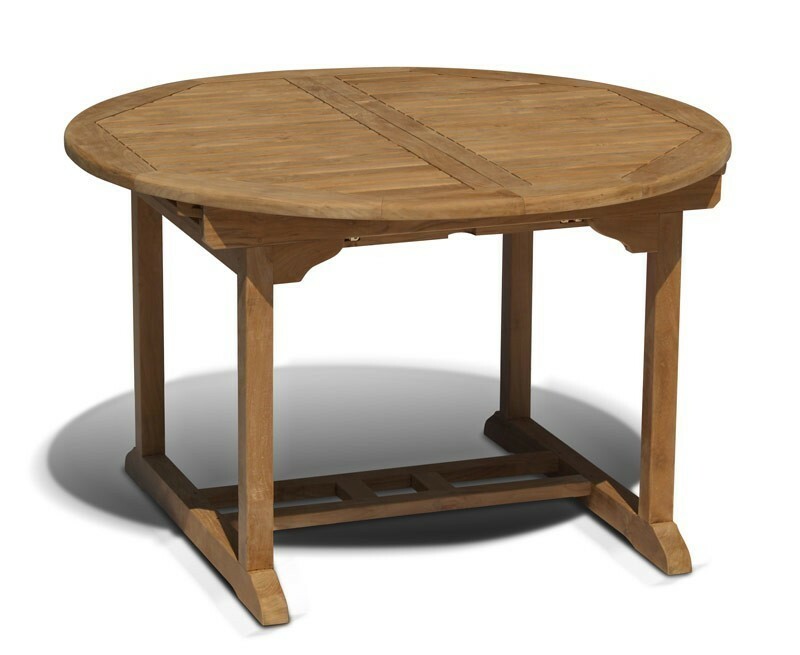 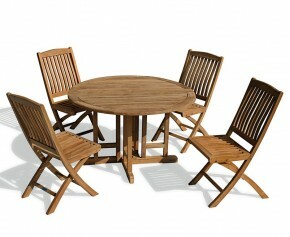 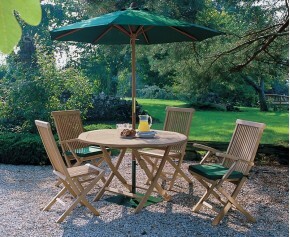 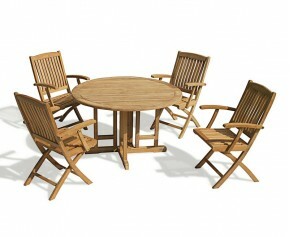 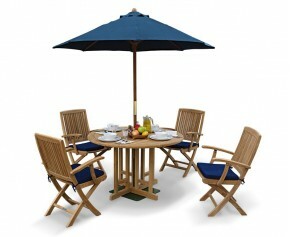 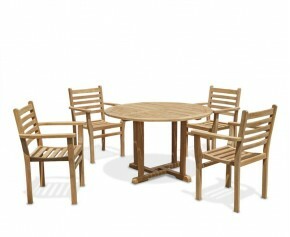 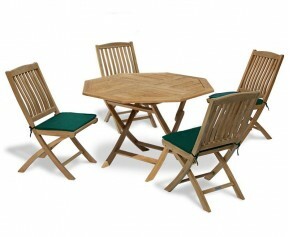 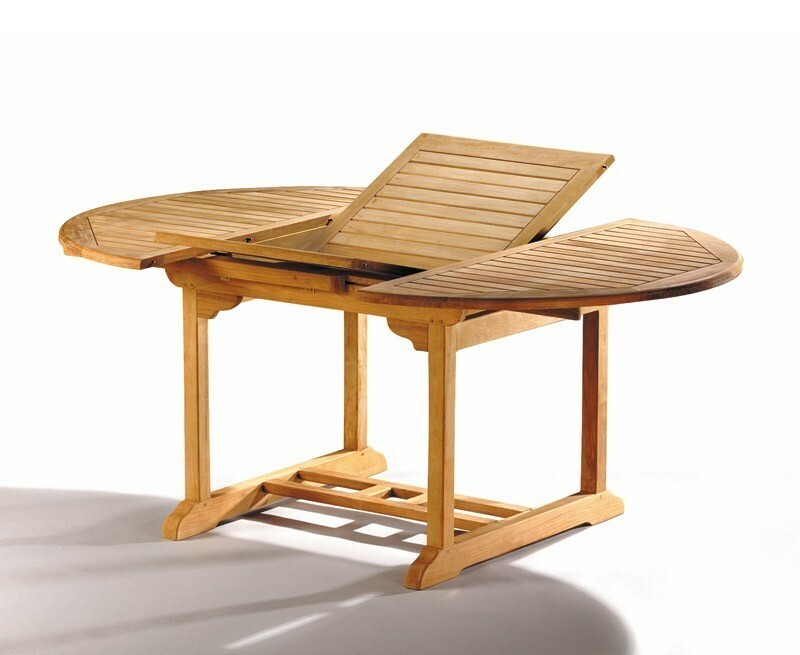 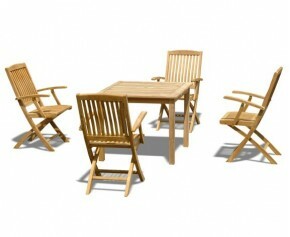 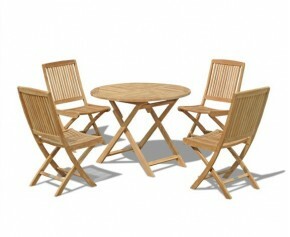 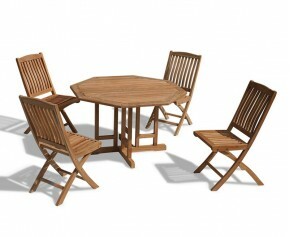 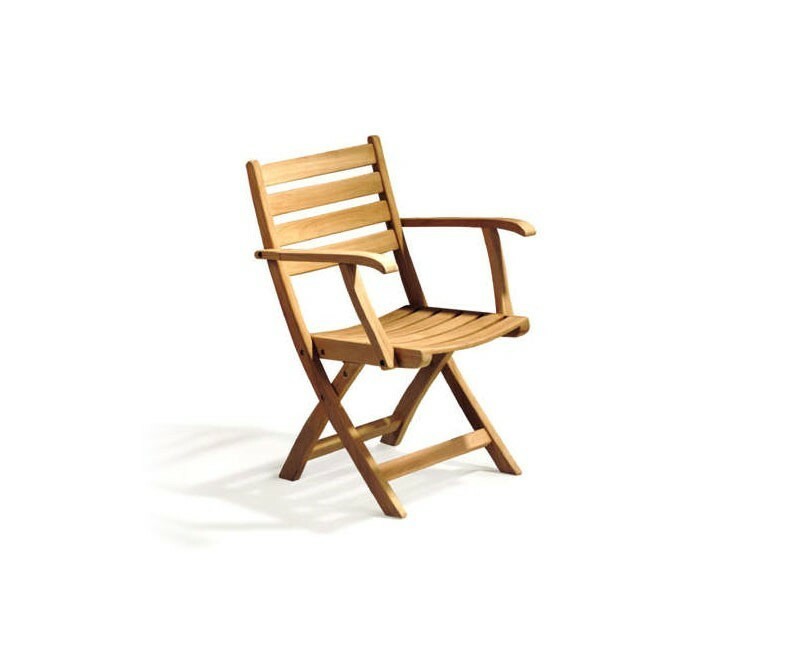 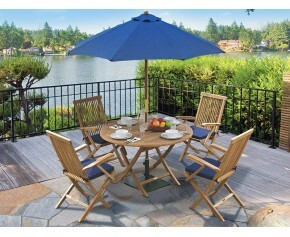 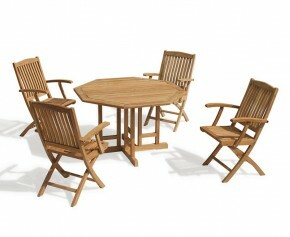 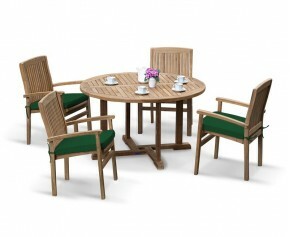 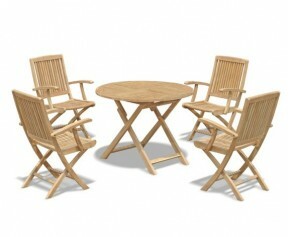 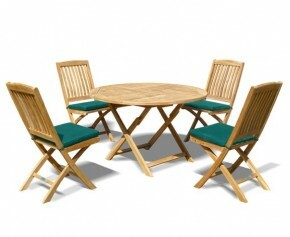 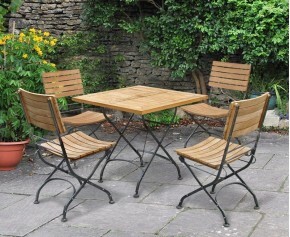 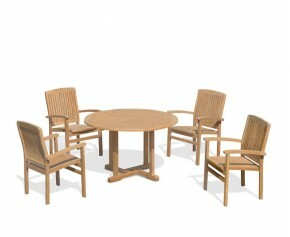 Constructed by experts in genuine premium A-grade teak Tectona grandis, this high end extending garden table and 6 folding chairs set has been built to last and can be left to remain outdoors year round in any weather - ensuring trouble-free fruitful use for years to come. 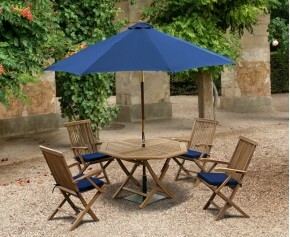 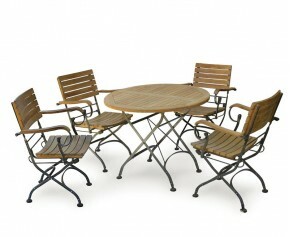 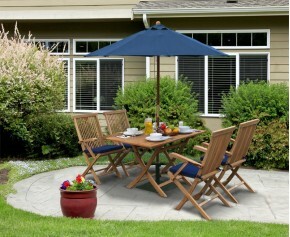 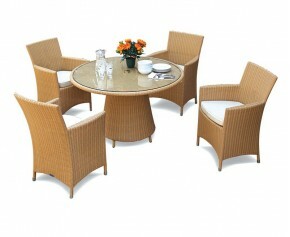 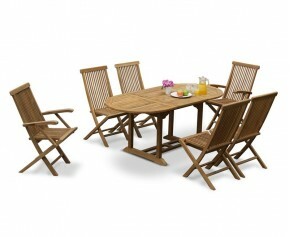 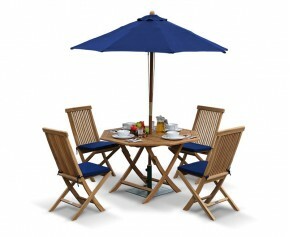 Extending from 120cm to 180cm in a few quick steps, this extending garden table and 6 folding chairs set is ideal for any occasion and can be easily incorporated into any patio or garden setting for al fresco dining at its best. 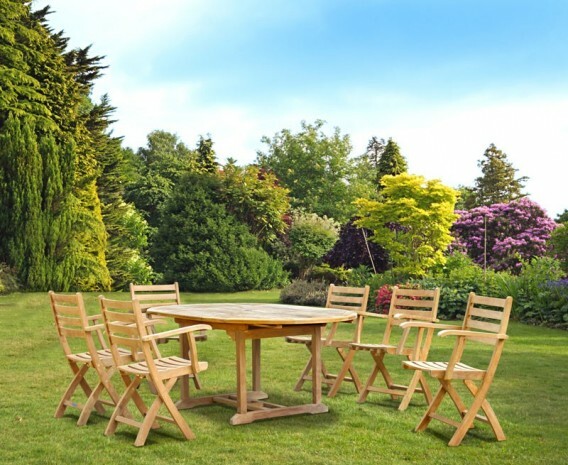 What's more the armchairs fold flat for space saving convenience when not needed- enabling you to make the most of your outdoor space. 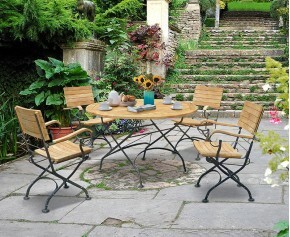 This Brompton extending garden table and 6 folding chairs set will be delivered pre-assembled for your immediate enjoyment.